According to Wikipedia Sunburn is an inflammatory response in the skin triggered by direct DNA damage by UV radiation. When the skin cells’ DNA is overly damaged by UV radiation, type I cell-death is triggered and the skin is replaced. Sun protective measures offers by official farmacopea including sunscreen and sun protective clothing. These methods are widely accepted to prevent sunburn and some types of skin cancer. As we know and it was widely covered by alternative media that most of sunscreen blockers are cancerogenic. The best way to protect yourself from a sunburn is not get exposed to Sun’s UV light but if you get to the beach after a long winter, it’s almost impossible not to get a sunburn when you swim or play ball, or do other beach activities. So you got a sunburn, what do you do to reveal a burning pain and restore a you burned skin? Aloe Vera juice – it work quite well but for best results it must be applied to skin immediately (right on a beach before skin reaction occurs) and Aloe Vera Juice/gel MUST BE MADE FROM A FRESH and JUST CUT LEAF. Treatment efficiency drops as leaf stays on a shelf/cooler even if leaf is look fresh it loses its healing potency. Natural Oils – best apply them before a sun exposure, it prevents skin dryness and UV free radical damage. If sunburn already happened will reveal some pain and not remove skin redness. It’s best to use a light oils such as Apricot or Peach Kernel, Wheat Kernel Oil (reach in Vit E). 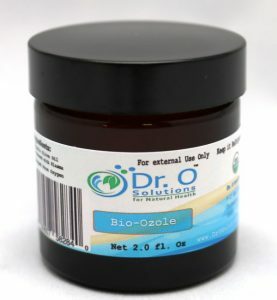 Many our customers reported to us that they got a great results revealing most of sunburn pain and skin redness by applying Dr. O Bio-Ozole during or after a sunburn. They said it take almost all pain away or makes a pain more bearable, fast restores you. Bio-Ozole can be applied as many time as you need it toget a full healing effect. If tried Bio-Ozole for sunburn please share your experience with us and our readers.